Only very selected places are actually using local ingredients – unfortunately. Why? Because these are much more expensive, seasonal and, simply speaking, limited. And: shrimp are certainly not native to this region! In general, I will never understand why we eat lamb from New Zealand when we’re living in Europe or America? Aren’t there domestic and local farms – even for lamb – less good? There aren’t! But it isn’t perhaps according to the trend. 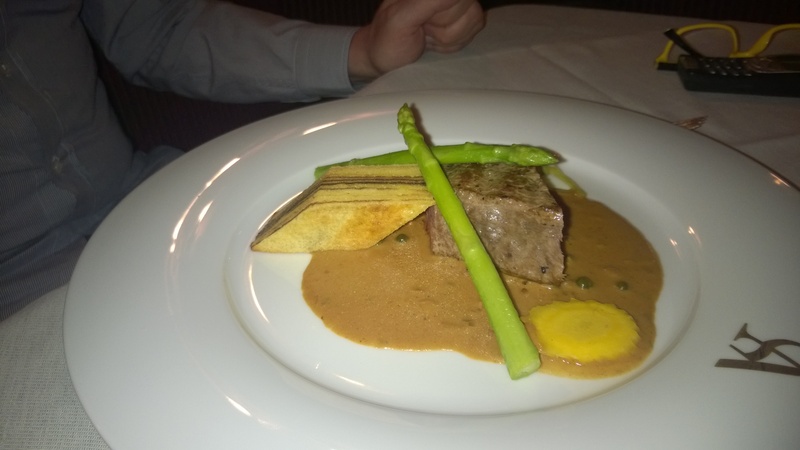 I can tell you that lamb from some farmers of the Ötztal or Northern Sea is excellent, if not outstanding. Only a few places (which I know of) are really committed to sourcing locally and with real quality. Of course great cooking requires more than just good quality, local ingredients; you also need to be a great chef. One of these great chefs is Christian Rudolf (just call him Rudl). If you don’t know him well, you would think he is grumpy and distracted! The opposite is the case if you consider he is a very “bodenständischer Kerl” (“down-to-earth” fellow) and just very focused. He is the chef o f the Restaurant of Angerer Alm, the hotel I just introduced two days ago. You can get the most amazing Alpine food there! 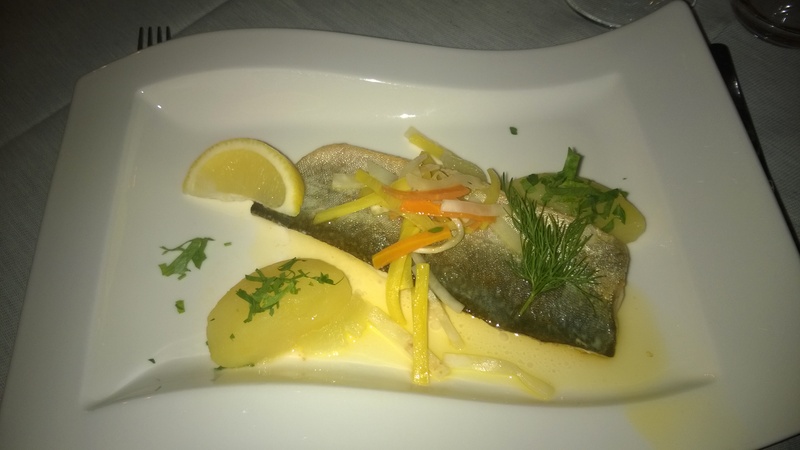 Due to the expectations of customers and guests, the restaurant at Angerer Alm sometimes even offers selected seafood, but you should just ignore this. Since most of the restaurant’s patrons are guests of the hotel, separate visitors to the restaurant are rather rare. The general concept is that you order the daily menu, which still offers some diversity, since you can usually choose among two soups and three main courses (meat, fish and vegetarian). There is an impressive desire, inspiration, and energy to make the best out of so-called traditional dishes, to refresh the very classical style of certain dishes with some surprising elements and imaginative combinations of local ingredients, herbs and selected flavors from other parts of the world. Like in a Michelin restaurant you will actually have a new tasting experience – eating carrots, red cabbage or beetroot – all vegetables from the area. Every sauce is homemade. The butter, milk and a lot of the meat actually comes fresh from the valley or from nearby regions, and the rest of the items are very well selected. I recently spent a few days there once again. All the kilos which you could possibly lose while skiing and doing other sporting activities, you will gain back or at least compensate for during the highlight of your day: the dinner at the restaurant. This food is just fantastic! It is impossible to even find the best dish! 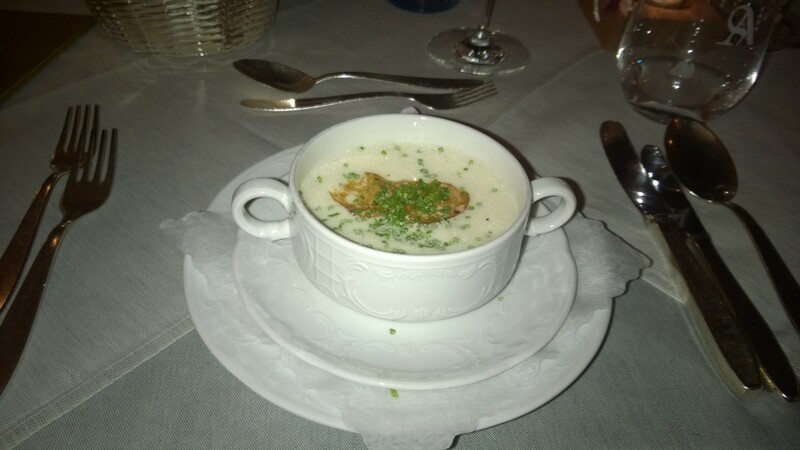 The cheese soup, veal liver or vension are outstanding and incredibly delicious! Liver! Super tender and soft. Sweet sauce, ham and mashed potatoes. 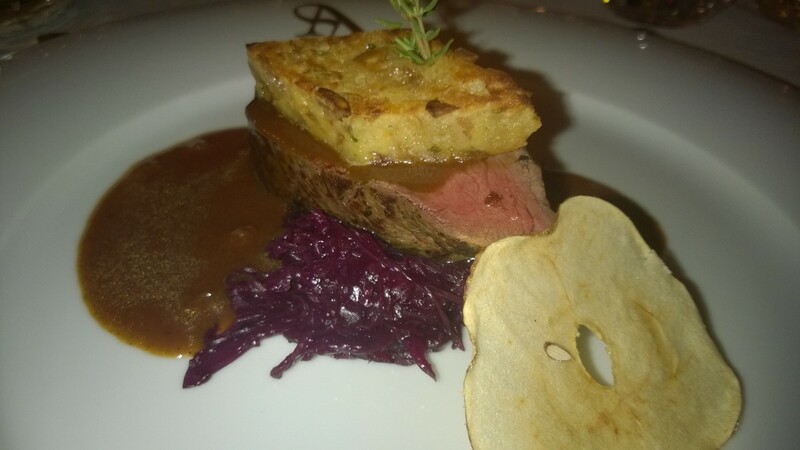 beef medallion, potato cake with some light sauce. Only the asparagus is unnecessary! 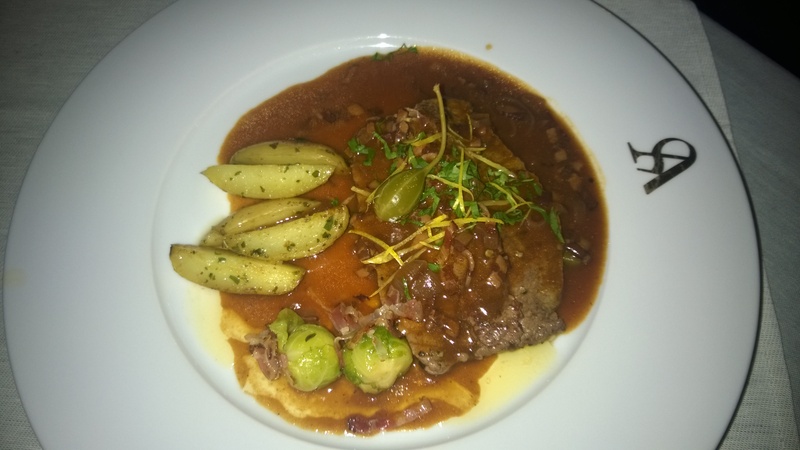 Onion-roasted beef loin, potatoes, Brussels sprouts, speck and cress but also one caper – great balance! Trout and Saibling are the fish of the local waters! 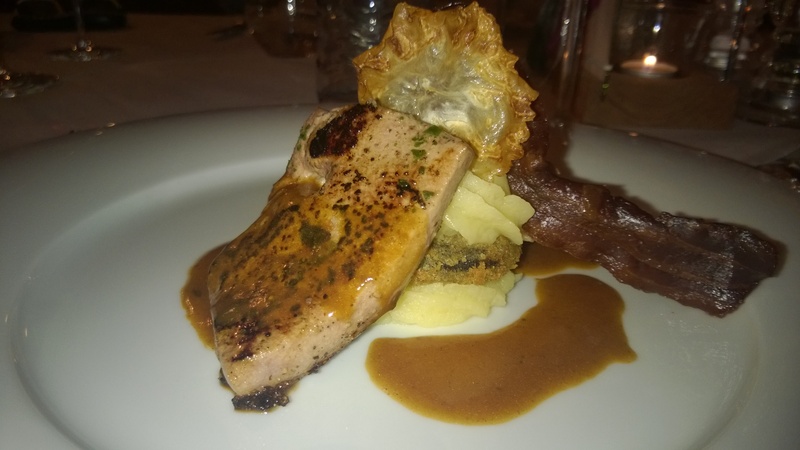 Although I cannot believe that this Saibling was freshly caught in the Tirolian rivers – due to the season – the chef refers once again to local ingredients. Aside from the astoundingly tender consistency of the fish – the sauce and vegetables delivered an incomparable freshness! The best venison so far in my life! Although all additions are great, the meat was just perfect! 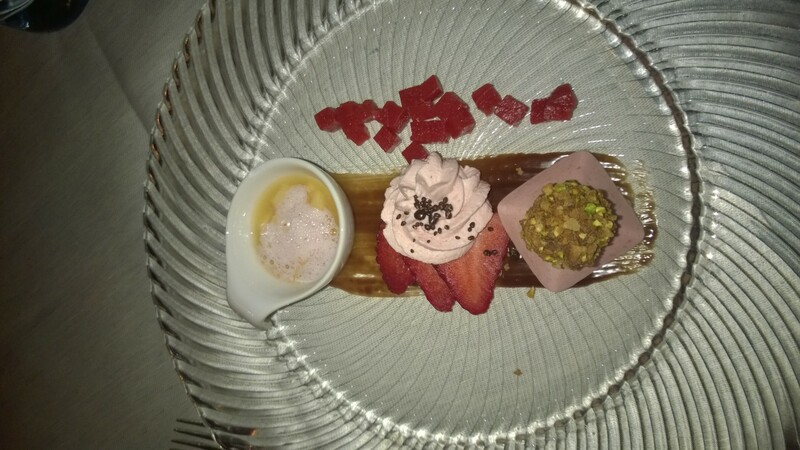 And of course each dessert has its own character and particular taste! 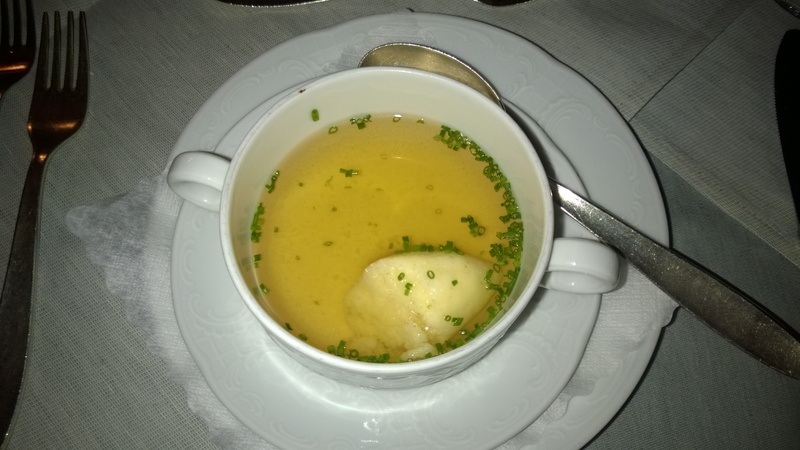 This restaurant belongs to Angerer Alm, a wonderful hotel at the end of Ötztal in Tyrol (https://avdwineandfood.wordpress.com/2015/03/22/angerer-alm-hotel-hochgurgl-tirol-austria/). Of course – nothing is perfect! The wine list is good, but not perfect. I really don’t understand why they don’t offer more wines than this limited selection – of good, Austrian wines. The wine list is rather boring, or at least without surprises. And unfortunately, the red wine is generally served too war. A restaurant with such a formidable culinary level should have a suitable and appropriate wine selection which could grow over the years. We are in the alps! 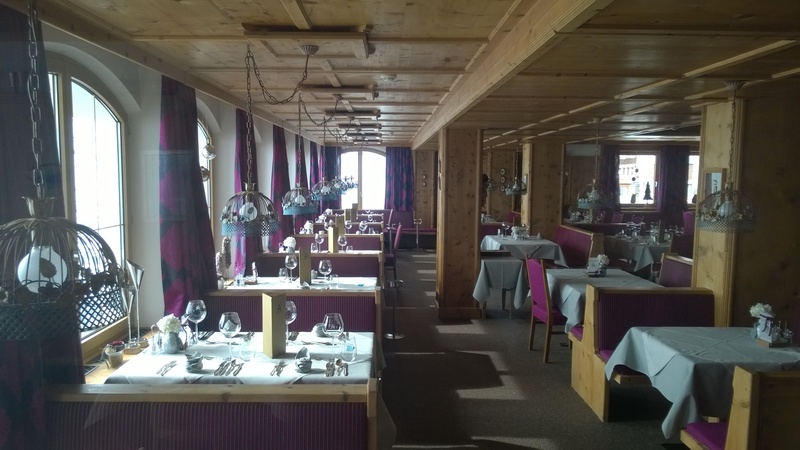 A restaurant in the middle of a skiing resort at a height of more than 2.100…. maybe people just prefer beer and wonderful Zirbenschnaps.